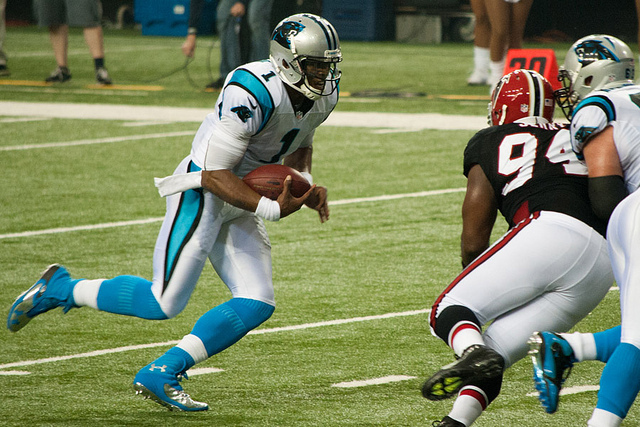 Panthers-Falcons Preview: Can Carolina Put A Nail In Atlanta’s Coffin? It is not unusual for teams that lose the Super Bowl to have a down year and miss the playoffs altogether. The Atlanta Falcons haven’t appeared to be suffering from the typical Super Bowl hangover, but they are in danger of falling victim to it nonetheless. With a win over the Carolina Panthers in Week 17, they will secure the No. 6 seed in the NFC. It doesn’t make for an easy route back to the Super Bowl, but it keeps the hope alive for another week. Of course, if Seattle loses they will be in as well. But the Falcons don’t want their fate in the hands of another team. They’d rather earn their way in, by playing well and beating a good team. That way they can feel better about their chances of actually making it out of the wild-card round. The Carolina Panthers will have something to say about that. They are already locked into a playoff spot, but they could still clinch the NFC South should they win and the Saints lose (to Tampa Bay). It only means they get to host a game in the first round rather than go on the road. But to some teams, home field advantage means a lot. If you just look at the stats from the game these two played earlier this season, it would be easy to assume the Falcons won. Matt Ryan threw for 313 yards and two touchdowns. Julio Jones hauled in six receptions for 118 yards. Cam Newton had a lackluster day passing the ball (13-24 for 137 yards). 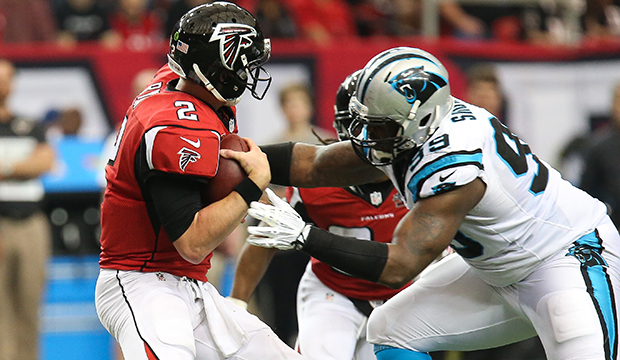 But where the Falcons ruled the passing game, the Panthers owned the run game. Newton led the way for Carolina with 86 yards and a touchdown followed by Christian McCaffrey’s 66 yards and a touchdown. As a team, the Panthers totaled 201 yards on the ground. In such a scenario, the Falcons would still be in a good position to win as long as they didn’t make any mistakes and capitalized on whatever mistakes the Panthers made. But they didn’t. Carolina took advantage of Matt Ryan’s turnover and scored a touchdown. While Atlanta did capitalize off of one (a fumble; with a touchdown) they failed to capitalize on the other. Why does how the last game was played mean anything relative to this time? Carolina is still playing the same style of football that led them to a win against the Falcons the last time they played. They won five of their last six, and in four of them ran for over 145 yards (twice for 200+). The Panthers only passed for 200+ twice. In the one game they lost, they were held to 112 yards rushing. In Week 16’s narrow win over the Buccaneers, they only ran for 115 yards. But they were aided by three Tampa Bay turnovers. So, if Carolina can dominate in the run game or cause the other team to make more mistakes than them, they’ll be in good shape. If not—advantage Atlanta. The Falcons have been kind of an odd team this year. Yes, they have a great running back tandem in Devonta Freeman and Tevin Coleman. But they also have one of the best quarterbacks in the league in Matt Ryan and arguably the best wide receiver not named Antonio Brown as well. Along with a capable No. 2 receiver (Mohamed Sanu) and a decent tight end (Austin Hooper), they should be passing for 300+ yards every week. But instead, they seem to be trying to win games by running the ball and with defense. Their run game is good, and their defense is better than it was last season. But it is not good enough to have a shot against a team that is trying to do the same thing—especially when that other team is actually good at it. Atlanta is favored to win by four. But the Falcons make too many mistakes and don’t have a consistent enough run game to beat the Panthers with how the Panthers are currently playing. Expect a close game, but a game that sees the Panthers win by four.